Do you also need a witness? As more and more new residents flood North Texas and DFW, I have more and more requests for witnesses. It is a challenge for new residents to find unrelated witnesses. Depending on the document, care facilities may allow certain employees to be witnesses but most do not. 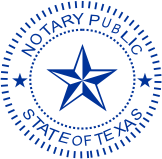 As a mobile notary without a store front, I have been unable to provide witnesses. I have recently sought out people who are willing to be paid witnesses. As a general rule, if you are in my base travel area, the additional fee will be $30 per witness. The witnesses I currently use are in my minimum travel area. My minimum travel fee ($50) is the same whether I am a witness or notary. I will add the fee to my charges so you only have one payment to make and I will pay the witness(es). There is one drawback. Witnesses must be scheduled to rush appointments may not be available. I am working toward expanding my list of available witnesses so hopefully it will be easier to accommodate your request.